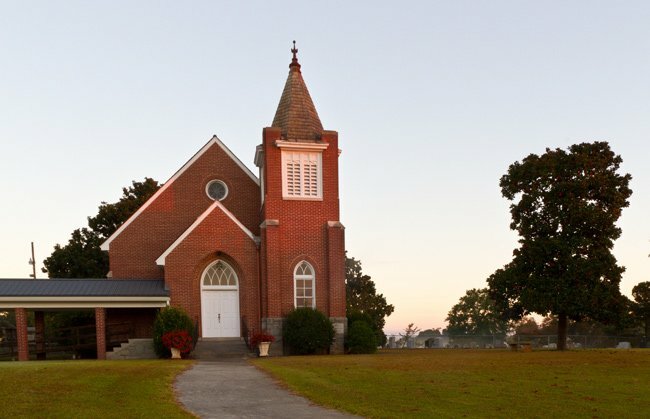 Lebanon Presbyterian Church – near Winnsboro – was organized in 1774 under the name Jackson Creek Presbyterian. Originally located near its namesake creek, roughly two miles southeast of its current site, the first structure to house this congregation was made of hewn logs. By 1780 a stone church had replaced the more primitive sanctuary, giving the church the nickname of Stone Church or Old Stone Church. Remains from this building and its churchyard can still be found on Old Airport Road. Due to safety concerns, the Stone Church was replaced in 1893 by a wood frame building constructed on the present site. Sadly, that church burned in 1910. Another wooden building was built the following year and used until 1933, when the current brick church was completed. 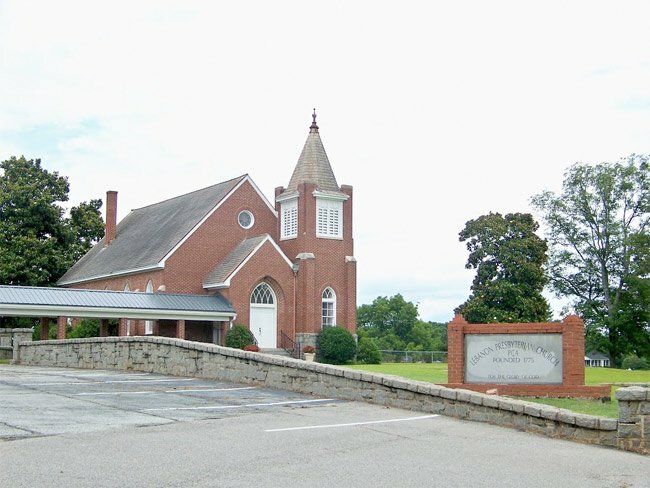 Lebanon Presbyterian Church was affiliated with the Presbyterian Church in the United States (PC-USA) until 1973. On July 1st of that year, the church voted to change affiliations and joined the Presbyterian Church in America (PCA). 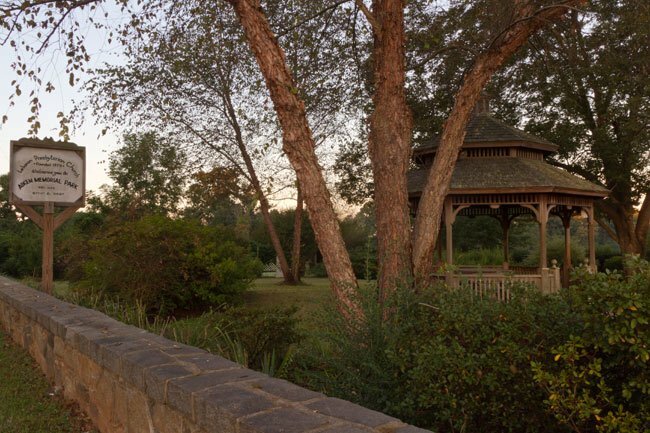 The Lebanon Presbyterian Church grounds include Aiken Memorial Park, seen below.